The higher temperatures of halogen lighting contribute to a whiter light, a higher light output and a greater efficiency. 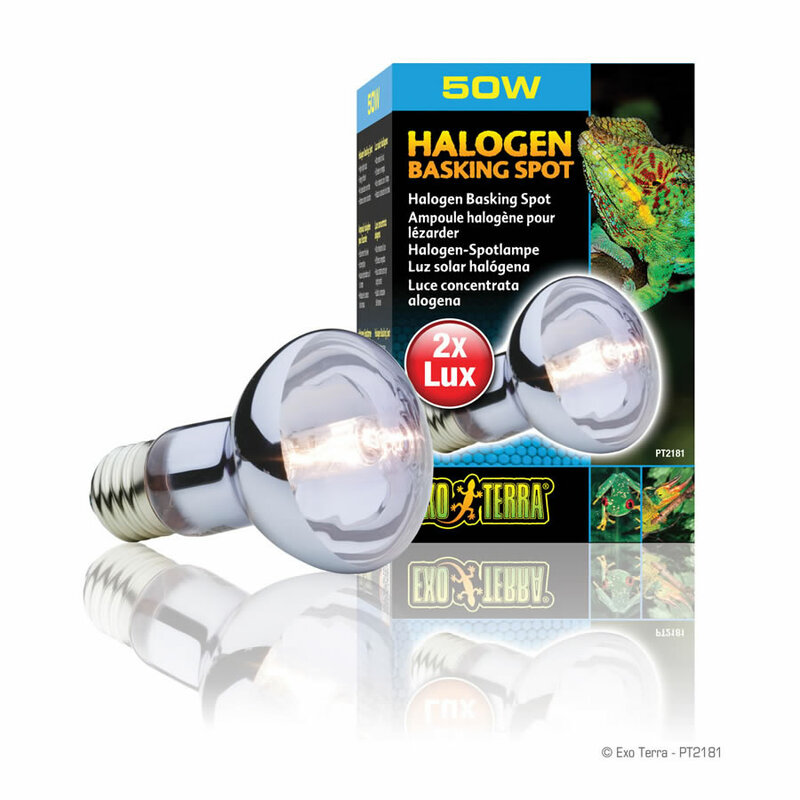 Highly energy efficient broad spectrum daylight bulb that optimizes heat penetration through increased infrared levels. Enriches colouration through Neodymium. Stimulates breeding behaviour and physiological well-being through UVA rays. Can be combined with Night Glo or Heat Glo for a 24-hour cycle. Halogen bulbs are actually an advanced variation of incandescent bulb technology. One of the major factors that shorten an incandescent bulb's lifespan is the evaporation of the tungsten within the bulb. By adding a trace amount of a halogen gas (methyl bromide) inside the bulb, a chemical reaction removes the tungsten from the wall of the glass and deposits it back onto the filament, extending the life of the bulb.